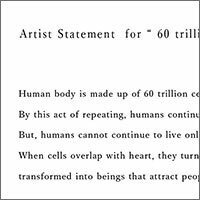 Human body is made up of 60 trillion cells. One by one they are born, and die. By this act of repeating,humans continue to live. But,human cannot continue to live only with the collection of objects called cells.